Love is a beautiful thing. But if you’ve noticed that the way you attach emotionally to men causes you problems in your relationships, and if you’re repeatedly left with a broken heart, then it’s time for you to take a different approach. It can be frustrating when you feel like you’re in love, but he isn’t. You wonder why you have such an easy time giving your heart guys but they don’t return theirs. Do you see a pattern in your past several relationships in which you fall hard for guy in a matter of just weeks? You may have the harmful habit of getting attached too quickly. Emotional attachment isn’t love. It can look a lot like love: You want to spend all your time with him. You miss him when you can’t. The difference between emotional attachment and love is that with emotional attachment, you have a neediness that is selfish and unhealthy. But love is not selfish. It does not make selfish demands. Love is about striking a balance. That balance is reached when two people want (not need) each other, but are able to stand independently apart from one another. People who are in love don’t want to take from each other, they want to give to each other. Here are some reasons you may be falling too hard for men too quickly. You have a history of abandonment in your childhood. 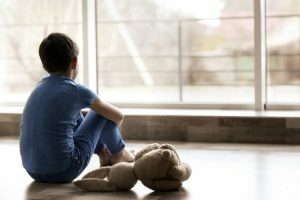 Dealing with abandonment during childhood can give people a tendency to quickly pull people towards them, and fear letting them go. You may even be seeking guys to whom abandonment feels natural. You will subconsciously attract guys who do not fully give themselves to you, you will seek the guys’ approvaland come to depend on it, and you will start to feed off it. Men like this aren’t relationship material. They are more like vampires that feed on emotions. They leave either when they’ get their fill of your neediness or when they become overwhelmed by it. You need to realize something important: you are not a child anymore. You are an adult, and you’re capable of makingdecisions for yourself. What happened in the past won’t necessarily repeat in the future. Give your heart to a man only if he wants to fully be with you, if he’s willing to be open with you and give his heart to you. You shouldn’t have to trick him or cajole him into loving you. And you don’t have to rush things. True love takes time. When you’re just a few weeks or months into a relationship with someone, you can’t really know him very well. So take your time. Love is beautiful thing, so when it happens, take the time to enjoy the process. You’re distracted by his attractiveness. It’s easy to be distracted by attractive superficial features guys may have. But don’t let those features convince you you’re in love. This stuff is typically only skin-deep, and we should know better by now than to judge people based on external features or possessions. It’s common for women to feel emotional attachment developing when the guy is good-looking. But looks and possessions don’t make someone worthy of love. Sometimes, what you were first attracted to is the very thing that causes difficulties in the relationship later on. Next time you meet a guy and feel drawn by his “shiny” attributes, make an effort to get to know him more deeply. Then and only then will you be able to discern if he’s worth your time or not., If he didn’t look so good, would you still find him attractive? You place responsibility for your happiness on others. Many women aren’t certain how they should care for themselves emotionally, so they latch on to the first guy who makes them happy by paying a little attention to them. But it’s important to remember that you are the only one who is responsible for your happiness. Further, you have full control over it. If you’re in a relationship with a guy you like, but feel like you’re trying to convince yourself he’s “the one,” you need to stop. He isn’t. You’ll never have to convince yourself someone is “the one.” You’ll know. Appreciate the power that you hold. You control your happiness. If a guy brings you happiness, that’s great. Get to know him better and let love develop. 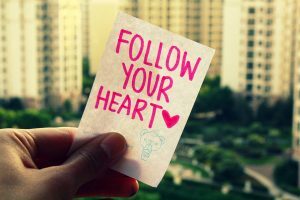 You don’t follow your logic, you follow your feelings. Healthy relationshipsnaturally involve emotional responses. But when you rely completely on your emotions and disregard your logic, you’re asking for problems. Before you react in situations, try taking a deep breath, and try to find a calm approach. You can gain control over your emotions. Take a step back and look logically at your relationship. Is the guy treating you well? Is he as warm and caring towards you as you are to him? Can you envision a future with him? Or, are you ignoring obvious warning signs? Pay attention to your gut instinct. It’s usually right. You think being single guarantees unhappiness. Some wonem desperately don’t want to stay single, so they convince themselves to get emotionally attached quickly and fall for the wrong guy. But there’s a funny thing about singleness. The moment you realize you’re content with your singleness, the right guy will come along. Men are attracted to emotionally healthy and strong women who can live their lives on their own terms and are able to be happy without relying on them. It’s possible to be single and happy, and you should be happy. It just takes some work. This work may involve something as simple as keeping a journal about how you feel, or getting out of the house to make new friends or take on a new hobby.